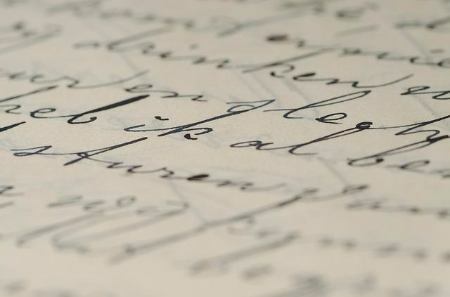 Has Technology Made the Need for Handwriting Obsolete? Home › Lifestyle, Science, Technology › Has Technology Made the Need for Handwriting Obsolete? I have terrible handwriting. Even though I completed school at a time when handwriting was something we were graded on, I still struggle. When I do write something by hand, it’s a scrawl somewhere between cursive and print — and if I don’t concentrate, it’s mostly illegible. Of course, computers started coming into their own when I was growing up, and my poor handwriting didn’t hinder me much once I got to high school. Today, it’s fortunate that I don’t have to write anything by hand. The computer allows me to make my living as a writer without worrying about whether or not anyone can read my handwriting. Many children growing up now are considered native technologists. My son will never know life without a computer; he started learning how to type in kindergarten. As a result, it’s especially difficult to convince him to at least write so that his teachers can read his assignments. It’s hard to argue that the ability to write by hand is important in our tech-rich society, where dictation apps mean that you might not even need typing skills in the near future. However, that doesn’t mean that handwriting is completely obsolete. In fact learning handwriting skills — particularly cursive — can be a part of better development and education. According to research reported on in the New York Times, there are some advantages to learning how to write by hand. The research indicates that learning handwriting contributes to children’s ability to learn to read more quickly. In a world where literacy is increasingly important, the ability to read is vital, especially since other subjects in school and in life rely heavily on an ability to comprehend the written word. Even a skeptic of the idea that handwriting is so important says that he can see the value in it, according to the New York Times. He says that the act of handwriting itself — committing something to paper in a deliberate way — might encourage better thinking and focus on what’s important. Because handwriting can be a slower process than simply typing on a computer, it can force you to carefully evaluate your ideas and figure out what matters most. The debate over the importance of handwriting is likely to continue. What do you think? Is it still worth it to learn handwriting? When do you prefer to write things down?